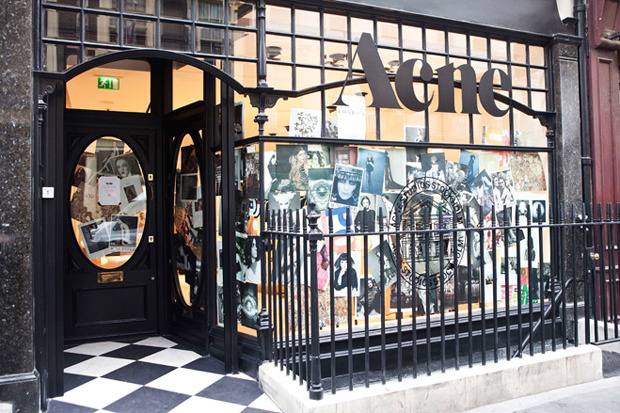 Acne launched it's first British store yesterday in London, on Dover Street. The Swedish brand was born in 1996, and first began life as an advertising agency and loose-collective, making film and music under the name “Ambition to Create Novel Expressions” ( So thats where the name comes from!). Now established as a cutting edge fashion brand, they can now add their first UK opening London to their impressive list of 20 existing stores. Formerly a gallery space, the new store in Mayfair covers four floors with minimalist white space and artwork from the likes of Helmut Lang and Katerina Jebb. 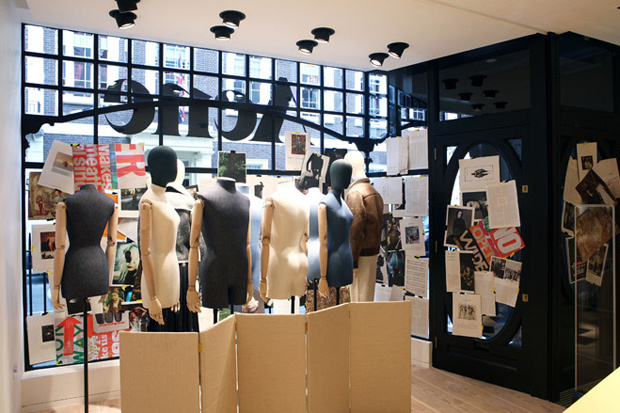 The front windows are even covered in a collage of pages from the Acne Paper, the brand's bi-annual magazine, so it's definitely worth a peek! I am so excited about this, I'm a huge fan of Acne...their shoes are incredible!